There’s a famous rule in marketing known as the Rule of 7 Touches, which states that before a buyer or customer will take action, they need to hear from you at least 7 times. That’s a lot, and if you’re like most business owners, you don’t have the desire or the time to do that after each and every estimate. You may not have the time to follow up even once or twice, so when you don’t hear back from a customer, that job just stays in limbo in a stack on your desk. Time goes by, you occasionally blow the dust off the stack, but you’ve gotten used to not using that corner of your desk. In a perfect world, you’d get rid of the stack altogether, but have you ever thought about what that stack really is, aside from a desk hogger? We’ve worked with business owners who have taken the time to figure out just how much money was lurking in their purgatorial stack of open estimates, and for some of them, that number was a six-digit figure. Just how much money is sitting on your desk in a stack of open estimates? What if you could take that money and put it into your business without working late, playing phone tag, or reaching out manually to every customer 7 times? Ahem, there is a way: Closing Commander™. How does this app/business software make your life easier and help you effortlessly close more open estimates? It’s simple, and while it may feel like magic, it’s not. All you have to do is add a customer to Closing Commander™ while you’re waiting to hear back about a bid, quote, estimate, or proposal. That’s literally all you have to do. The app/software will then follow up for you, automating the entire process in a way that looks natural and personalized to the customer and is easy and convenient for you. Why will you love Closing Commander™? The messaging and timing of each follow-up email can be customized, but you don’t have to do anything before sending. The provided default cadence and content is tested to be effective right out of the box. Each follow-up email comes from your email address, so it won’t look like a spammy bulk email sent out by some bot. Within the app/system, you’ll be able to see when emails are opened and if any links are clicked, and any responses from clients will go directly to your regular inbox. Once a customer replies with a “Yes,” you just mark them as “won” in Closing Commander and that will end the automated follow-up process. And now, our newest reason to love Closing Commander™: It’s fully compatible with more email providers than ever before. 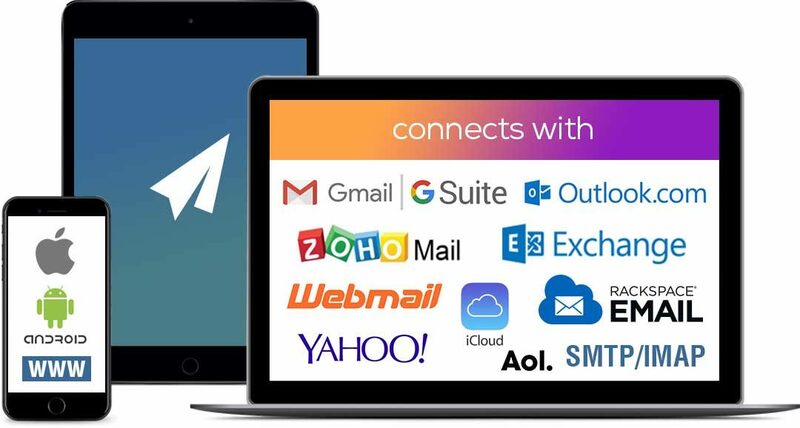 Whether you use Gmail, GSuite, Outlook, Zoho Mail, Microsoft Exchange, Webmail, Yahoo!, iCloud, Rackspace Email, AOL, or SMTP/IMAP for your business email, Closing Commander™ can be seamlessly integrated. That’s good news that we just couldn’t wait to share! If email integration kept you from benefiting from Closing Commander™ in the past, reach out to us. We’ll have you set up in less time than it takes the barista to make your Americano, so you can start closing those open estimates while you sip your morning brew.